While digging through my dresser, packing away the shorts and tee shirts in favor of bulky winter sweaters, I came across a red, heart-shaped tin that brought back a memory. My youngest daughter was in middle school when she read about an organization called Locks of Love. These folks make wigs from donated human hair for use by cancer patients who have lost their hair to chemotherapy. My daughter wore her beautiful auburn hair long. She decided to donate to the cause, but like most middle- school students she was able to find something amiss with her appearance. She spent a healthy chunk of her summer job money to have her “regular old brown” hair professionally tinted to a golden blonde. 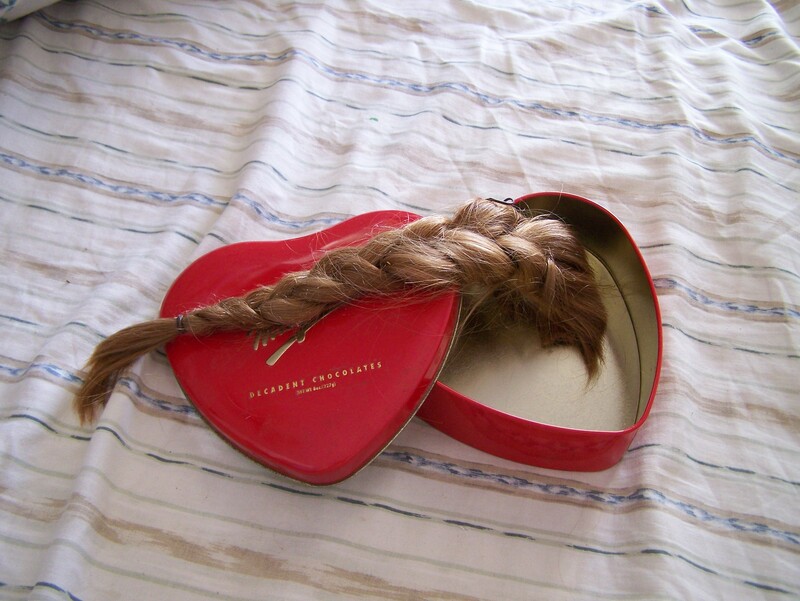 She then whacked the thick braid off at the closest point to her head. When she proudly delivered the thick braid to the charity she was told that they didn’t accept color treated hair. As a consolation I asked if I could keep the braid for her until she found a use for it. I still have it. That reminds me of a famous story by local author O. Henry. I remember reading Gift of the Magi sometime around the fourth grade. I was often moved by literature even then but his story stays with me to this day. For today’s prompt write a story, memoir or essay about a gift that took an unexpected turn. Have fun with it. Maybe you’ll be the next O. Henry.